Brazil's highest court, the Federal Supreme Court, yesterday upheld the conviction of genocide against four goldminers who murdered 16 Yanomami Indians in 1993. The vote was unanimous. Lawyers for the goldminers had appealed against the original genocide ruling by a federal judge, which was upheld by Brazil's highest tribunal. Now finally the matter can be laid to rest. 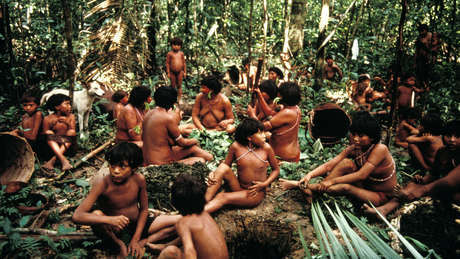 The massacre of 16 Yanomami of Haximú community in Venezuela, was carried out by 22 Brazilian goldminers working illegally in the area. In a savage attack, the miners shot old people, women, and children and slashed a baby with a machete. Four goldminers received sentences of between 19 and 20 years for the crime of genocide and are still serving their sentences in jail. The UN convention on genocide, ratified by Brazil, states that the killing with intent to destroy, in whole or in part, a national, ethnical, racial or religious group' is genocide. The Supreme Court's ruling is highly significant and sends an important warning to those who continue to commit crimes against indigenous peoples in Brazil.